Regardless of the reason, it is our job to promote communication everywhere. In order to set our clients up for success, we need to also support their caregivers. Below are three steps I’ve found to be convenient and simple when asking caregivers to provide aided language stimulation. 1. Find a routine and stick to it. The client’s attention, interest, and age should be a factor when choosing a routine. If the child has an affinity for food, grocery shopping may be the best time. Once you’ve helped the caregiver choose a routine, brainstorm some (core) vocabulary to model during that activity. For example, if the caregiver wants to model AAC while grocery shopping, choose vocabulary like: that, it, push, grab, find, in, cold. Caregiver: Thanks! Put it in the cart. Caregiver: Can you push it? 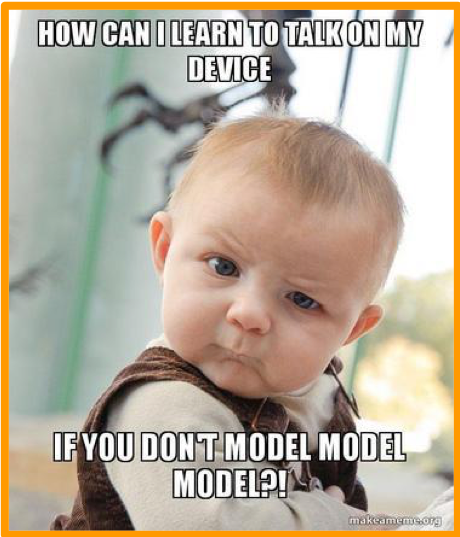 Speak their message out loud while modeling on the child’s AAC device. It is important to hear both forms of communication. Model the words on the list. Do not worry about searching for watermelon or grocery cart on the child’s AAC. Focus on teaching the chosen core vocabulary and demonstrating all the ways these words are used. Routine/Location: Maybe this caregiver is having a difficult time modeling while walking the dog. Help create alternatives (e.g., bringing a sibling to hold the dog leash, purchasing a carrying case/strap). Vocabulary: It’s possible the list created feels too large. Maybe the word list does not reflect what the caregiver wants to communicate. Be sure to ask caregivers to provide some examples of sentences they’ve been modeling to provide feedback and support. Client participation: Although modeling is the main focus, the end goal is to have our clients be initiating a variety of communicative intents. 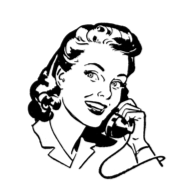 Check in to see if the caregiver is allowing opportunities for the client to communicate. Go over ways to model and wait. Remind caregivers that this is a process and is similar to learning a new language. It takes time. How do you encourage aided language stimulation outside of the therapy room?